I hope everyone has a great New Year's Eve...God bless you in 2008! I am going to my friend's house for a get together! Take care...and more writing next year! (Hardy Har, har). We had a rough night with Caleb. His fever spiked up to a whooping 104.5. We gave him Tylenol, and about 15 minutes later...RALPH~ all over Terry and the couch. I think he threw up because of his high fever...but, I don't know. When this happens, I always wonder if we are suppose to give him more Tylenol because he threw up what we gave...or just wait it out. It was a scary choice, but we waited. After another bath, he was snug in his bed. Terry raised the upper part of the bed with pillows under the mattress. He kept coughing and it would bring him to choking on his phlegm. I brought Caleb into the Dr. this morning. Since Caleb has been complaining that his throat has been hurting the last few days, I was expecting Strep throat. Well, guess what the Dr. said? "It's just a virus, and it will have to run it's coarse." He did perform a Strep test, because his ears were clear and his lungs sounded clear. Caleb didn't really have much of a reaction when he performed the test. When I get that test done, I want to gag all over the Dr. I can't handle that test too well, and my little 2 year old "showed me up". So, here we are in waiting while Caleb's little body fights off this nasty virus. I really hope none of the rest of us get this...especially Maddie! It is such a dry time of the year~ Winter~ and my Eczema really flares up in the winter months. I have tried so many lotions out there, and it is hard to find a lotion that won't make my hands break out more or bleed more. My hands usually become cracked and they bleed. 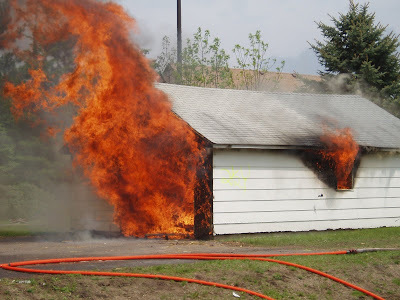 Sometimes when I use a lotion, it just burns and causes more irritation. When I tried the lotion : Skin MD Natural, I felt relief. It was such a great feeling! The cracks were soothed and my hands didn't hurt when I moved my fingers after using the lotion. It didn't make my hands all greasy and slimy. Here is what SKIN MD is all about: Skin MD Natural™ utilizes the finest effective natural skin care ingredients for dry skin treatment along with the latest advances in dry skin care technology to hydrate and protect the skin. With Skin MD Natural™irritants are kept - OUT, moisture - IN, making it the perfect dry skin care product. This is an entirely new con­cept in skin care requiring a new classifi­cation: "Shielding Lotion". Skin MD Natural keeps moisture-robbing irri­tants away from the skin while proprietary "super" humectants hydrate the skin throughout the day. **Skin MD Natural alleviates dry skin, eczema and psoriasis, providing relief from dry skin and itching. This lotion is great for hands and feet, face, and body! I highly recommend Skin MD Natural and I am so thankful I was able to try this lotion out! It really is amazing! 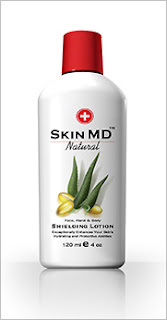 If you suffer with Eczema, Psoriasis, or Thyroid problems...check into Skin MD Natural lotion! Here is the website for more information: Skin MD Natural. Pete has offered to send my readers samples of Skin MD Natural to try if you are willing to post a review on their blog if they like it. You can contact him at petegrimaldi@earthlink.net . Caleb: "You look like Chewbacca!" It was so funny, and we have no idea where he got it from, or why he said it! Boy did it give us the giggles! Terry and I got to go shopping (BY OURSELVES) and finish up the last few gifts. 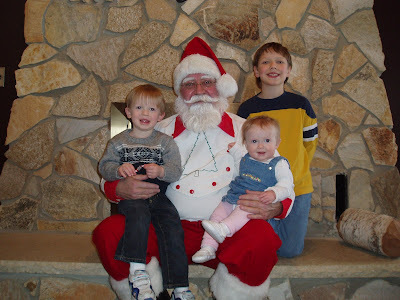 Terry's Dad sent us some Christmas money to buy some things for the kids. It was fun picking out some things. We had dinner at Denny's and the food was super. It was so good to eat REAL Ranch dressing with my salad. It has been so long since I had real ranch. (I started Weight Watchers in September). Then, we were off to get Nathaniel back from his visit with his Dad. When we picked up Nathaniel that night we told him what Caleb said. His response was, "Well, that wasn't very nice. Not nice at all. At least he didn't say Yoda. Great Grandma looks like Yoda with all her wrinkles!" Oh my goodness~ Kids are so super funny!! 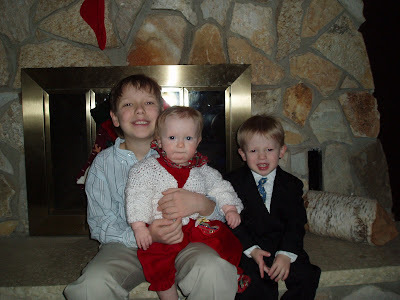 After we got home from picking up Nathaniel, we had the kids go downstairs so Terry could get the Train in the house. Then, we played with the kids awhile before bedtime. Terry wanted me to play some Christmas music on the piano. It was fun, but it reminded me that I really need to brush up on my practicing. After the kids were in bed we wrapped all the gifts and put them under the tree. I filled the stockings. We don't "do" Santa, the gifts in there are from us, but I think the stocking filling is fun. Terry put the train around the tree, and it looked great. Finally, at almost 1 AM, I made it to bed. Christmas morning was fun and special. Caleb, Maddie and Nathaniel loved to see the train. Maddie kept wanting to touch it. We had the kids open their gifts, and all was appreciated. Caleb only wanted a Rocket Fishing Pole for Christmas, so when he opened that gift, he pulled it out and said, "A shooting fishing pole~ I GOT IT!" I really wish I had that on camera. Where is that camcorder when you need it. It was so funny! After gifts we had breakfast, then we headed over to my brother and sister-n-law's house for my side of the family. It was great to see everyone again. Our family doesn't get together enough. My sister and family was here from IL, and I haven't seen them since Easter, and that time was a brief visit. My other sister (who is a single mom of 4) didn't come. I was really upset about that, and I will post that in another post later. All in all, it was a great day. 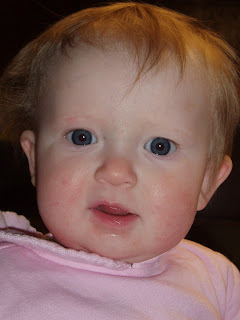 I will try to get a picture of all 18 Grandchildren up maybe tomorrow. Well, I hope you all had a wonderful Christmas! Join Star on a journey through imagination and inspiration. Van Gogh, Picasso and the art of over 40 other artists come alive to the music of Mozart, Beethoven and Bizet. 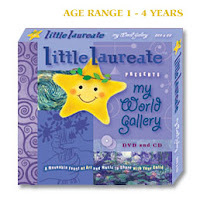 Share the wonders of our world through early exposure to art, world consciousness and culture with Little Laureate's award-winning series. 1 hour of classical music performed by the Moscow International Orchestra. Not only is the amazing DVD soundtrack included, but extra bonus tracks as well! 24 pages of information on the art, artists and music along with expert tips on raising a creative child. There is a total of 3 different DVD/CD gift packs: My World Adventure, My World Gallery, and My World Colors. 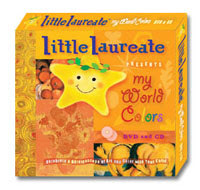 Little Laureate is such a great series to teach great cultural differences, art, music, and colors. 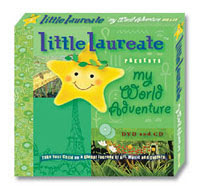 Want to win one of Little Laureate's DVD's? They offered two DVD's to give away! Just leave a comment below. This contest is open to residents of the United States, bloggers and non-bloggers. Please leave a way to contact you. To get another chance at winning, blog about it, and link back here. Please make another comment that you blogged it so I can make sure you get credit. :) I will leave comments open until December 27th at 11:59 PM. I will announce the winner on the 28th. If you want to buy the set, they have offered my readers a code to get buy one, get one free. Tell them that you saw the review at Sassyfrazz and enter the discount code: PROMO. Retail value is $34.95! This code is good through 12/31. Update: comments closed: ****We have 2 winners: #2: Qtpies 7 and #31 Anonymous!! Congrats to you both! My sons helped pick the winners. I need Anonymous to contact me with an e-mail address by 12 (noon) tomorrow (12/29) or I will draw another winner, because I can't contact you. Thanks everyone for playing. Stay tuned to another contest starting in January! Terry came down stairs and Nathaniel was standing there. Terry said, "What is that smell? It smells like perfume, or something?" Nathaniel said, "My arm pits!" It was very comical. We started having Nathaniel use deodorant. I think he seems young to use it, but he needs it. I think kids are getting younger with the time they are hitting puberty. It is pretty sad, I think. My little Princess is so funny! She crawls around purring. 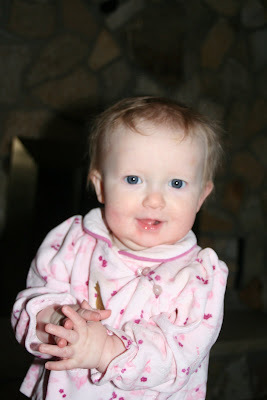 She makes this sound with the back of her throat ~ not her tongue, and it is super cute! She growls at you from across the room if you look like you're going to "get her". She likes to clap her hands to hear the slap sound. She will dance for you if you sing (more like a bobbing motion). Two of her favorite songs are, "If you're happy and you know it..." and "Jumping up and Down" (from the Donut repair man).I am amazed at how much she has changed in 9 months! She changes daily, and is learning so much! I am so thankful that I have the privilege of being an at home mom! 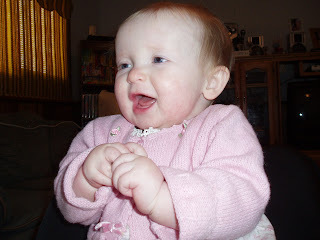 She is so fun to play with and laugh at. She is really starting to interact with her brothers, and showing affection to them. She loves Lena, who is one to use her as a speed bump now and then. Someday Maddie will be bigger than Lena, and the roles will be reversed. I bring my little princess in for her 9 month check up tomorrow morning. She is 9 1/2 months old. I am excited to see how much she weighs and how tall she is. 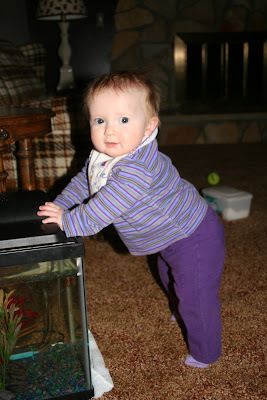 I am looking forward to where she is in ratios with other babies her age. I know she is a peanut, but that is OK. I know that she is growing! I am happy she is little, because it is easier on my back. I love you little miss Maddie! You are so sweet and loving! I will be hosting a few upcoming giveaways, contests, and reviews. Some of the up coming contests are for BOON, KABOOST and Little Laureate DVD/cd gift packs...stay tuned for the details! I will be doing a few book reviews. One of the reviews of the books sounds amazing, and it is one that I will be reading with Nathaniel. I am so thankful and grateful to the companies that supply these great products! I love to do reviews and the contests are super fun! Thank you so much! Don't forget to sign up for the current contests : Tu Tu Cute and Twisted Silver! Hurry the deadline to enter is 11:59 P.M. tonight! Twisted Silver is a fine, and funky, jewelry store ran by stay-home moms! They make necklaces, rings, belts, earrings, and bracelets! This is what they say, "Twisted Silver is the imaginative trailblazer of the "convertible jewelry" movement. Belts become necklaces...become chokers... become multi-wrap bracelets! Rare is it to find a piece of jewelry always outside of the box, yet instantaneously fashionable and recognizable. Because Twisted Silver lets you define how to wear the jewelry, your imagination is your only limitation. Give free reign to your individuality. One piece of jewelry.....SO many options! It's great to be a girl!" Aren't these earrings pretty? They are so stylish! These are the "Flower" earrings. Here is the stats: Element: Copper, Weight: Light (.1 oz), Drop Length: 3" ,Design: 1 1/2" x 3"
Debra Mitchell is the founder and designer of this funky jewelry, and she does a great job! 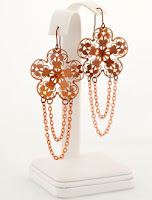 Want to win these amazing earrings? Go to Twisted Silver and pick out the piece of jewelry that dazzles you the most, then come back here and comment on your favorite piece (Please leave your e-mail address so I can contact you). 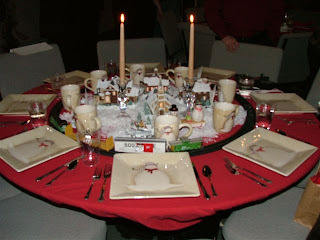 If you would like a second entry to the contest, blog about this contest and link back to me. 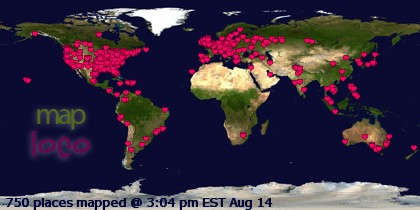 (I greatly appreciate Linky Love). Then, just leave another comment with your url addy. I will use a random generator to pick the winner. Contest is open to United States residents, bloggers and non-bloggers are welcome. Only those who follow the rules with be qualified. Contest ends December 18th at 11:59 P.M. I will announce the winner December 19 before noon (Central Time). I will pick another winner if the first winner doesn't respond within 24 hours. *retail value: $50.00* Thanks, and have fun! Contest is now closed: Winner is Amanda! Nathaniel loves the 'Adventures of Odyssey' series. When I saw this game, I knew that he would be just tickled pink to play it! I know that he will easily know more that me when we play it, but that is ok.
Answer That! 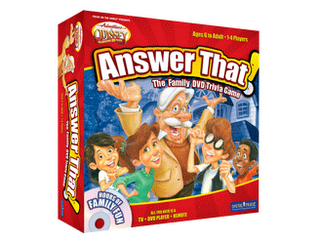 DVD trivia game is based on the last 20 years of stories and lessons from the Adventures of Odyssey series. You can listen and watch scenes on the DVD, race each other on the game board and answer trivia questions to see who makes it to Whit's End first! There are 600 on-screen questions, a Game Board with 4 paths leading to Whit's End, 76 trivia cards with over 450 challenges (Easy-hard levels), 20 Room of Consequence cards, 4 character play pieces, 1 die, and an instructional sheet. The Room of Consequence cards are cards that describe behaviors that are undesirable (ie, treating a friend badly) and you have to move back. I really like that you can have teachable moments with the kids during this game. I love that you can do different things with this game! You can take it with you in the car with the Trivia cards. You can play a quick round during the Lightning mode (DVD use only), and you can play with the game board for a game night. There are three trivia categories: Whit's Wisdom (Biblical references), Eugene's Questions (Multiple sources), and Connie's Character (Identify the quotes). This game incorporates radio episodes, book excerpts, song snippets, and clips from the Adventure of Odyssey's animated films. Nathaniel will love this game, and he will get it for Christmas! Digital Praise offers this, among other great games for the PC and DVD, that families can enjoy! They are Christian games that instill great family values. 'Twas the "Night Before Christmas" when all through the house...Not a creature was stirring, not even a mouse. Pa was soundly sleeping, and I was out shopping. My money was in my hand-made purse (made by tsunami survivors in Indonesia) byLaga Handbags, and I got in line first. I took off my Fingerless kitty mitties that kept my hands warm. Oh my, look what I found from my honey~stuck to the inside of my mitt was a bundle of money! The Coffee shop was busy with people getting their coffee. I love the smells it totally excites me! I got the exotic set from The Mad Roaster Coffee, now I must hurry home to make some toffee. Pa is still sleeping and I need some light, so not to disturb him I put a match to the light. I love the candles that Pa got me from Peter G Candles, they smell so glorious and they're safe to use in my home, and fit on my mantle! Time to relax from the hustle and bustle, I settle in for a nice warm bath with my basket of truffles." Nathaniel has such a giving and sweet spirit. He was given $5.00 for a birthday gift from my brother and sister-in-law. Well, he tends to be a penny pincher at times (which is a good thing), and so I never know what he will do with it. However, he is a kid, and he can blow money, too! We went to a train show a month ago. My husband loves trains! We even opened up a hobby store, and I will post on that another time. Anyway, Nathaniel bought him a few trains ~ with his birthday money. I thought that was such a giving spirit...He makes me proud! This CD-Rom game has fun, excitement, and exercise written all over it. You won;t even know that you are exercising, because it is really that fun! It has 52 Christian songs on it, 10 of them are "locked" until you dance through songs at a "hard" level. The songs vary in style from hip-hop to worship, pop to rock. What is really great, is the lyrics are on the screen so you can sing along. I love singing, so this is a great way to worship, too! There is a dance pad that you plug into your computer. You can put up to 4 dance pads with the game. Then, you just put in the CD, and start dancing! You can chose different backgrounds, create profiles for each person, select favorite tunes and play with continuous mode, all the while DANCING OFF THOSE EXTRA POUNDS! Christmas is almost here, and usually that means more insulation pounds added on. This is going to be under our tree for Christmas to help us stay fit for the winter. There is an improved exercise mode, which will record your progress as you dance off those unwanted pounds! It tracks time, calories, and weight lost!! Isn't that great? Each song has 4 choreographed dances. Arcade-style game - "DanceTris", the new "tetris"-style dance pad game gives you a new way to play on your dance pad. You can customize the play lists by selecting your favorite tunes from the games or Expansion Packs and name the list for future access. There is even a super-easy mode so the little ones can give it a try. Caleb will love this, too. I love hearing more Christian music, and dancing right along. Praising God, having fun, and exercising all in one! Thanks to Digital Praise my family can enjoy a great game with such great family values. 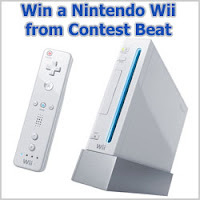 ContestBeat is hosting a contest to win a Wii! I would love to win this! Our family is very big into playing games together. It is such a great bonding time, and after you have all the equipment (gaming devices, controllers, games..etc) it really is affordable entertainment. Know who is sponsoring this contest? CellforCash.com! CellforCash.com is where you can recycle your cell phone; recycle other cell phones; sell your cell phone; or sell other cell phones. What a great thing to recycle! Most everyone has a cell phone these days, and they don't last forever. So, with this company you can get some of your money back, or just get rid of it safely. I hope I can win the Wii for my family! Thanks ContestBeat for this contest! I was a single mom with Nathaniel for 5 1/2 years before I married Terry. 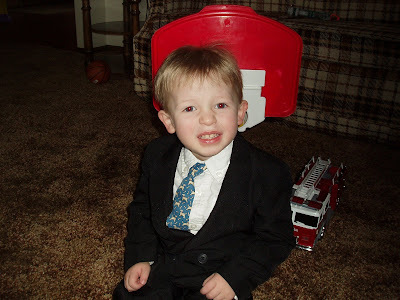 When Terry and I married in 2004, Nathaniel was entering Kindergarten. I decided to home school him. When Nathaniel's Dad heard the news, he was not happy with it, and really put up a fight. (By the way, Nathaniel's dad isn't a Christian, and we have very different parenting styles) Well, since "legally" we share joint custody, we have to agree on school choices. Well, how do you agree on something you don't agree on? It wasn't something that we could come to an agreement on so we had to go to mediation...In the mean time, I just kept home educating Nathaniel. Kindergarten went great! Nathaniel really learned a lot. Him and I really both enjoyed learning together. I really enjoyed seeing him grow educationally. I taught him how to read and write! That was an amazing feeling knowing that I did that. I still don't know how I did that. The following fall (after he started first grade) his Dad and I went to mediation. The outcome of the mediation was, I made a lot of changes (in favor of his dad) so I can keep homeschooling until, at least, 6th grade. I home educated Nathaniel through Second grade. During Second grade, things changed. Nathaniel and I were constantly at each other. We really didn't get along very well. We ended our days in tears (both of us) many days. I was tired of home schooling him. I didn't like what our relationship was turning into. I wanted to enjoy him, and I really felt like I was starting to not like him so much. 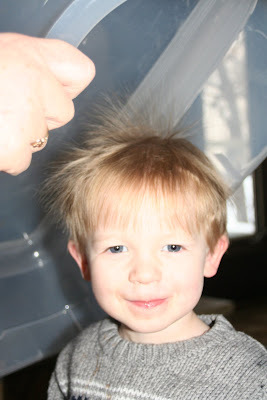 Don't get me wrong, I love my son...but I am sure you can relate with not really liking them at moments. I had Madelyn during that school year...beginning of March. I am sure being pregnant during that time didn't help our situation. I was so very emotional with my pregnancy with Madelyn. I got lazy with schooling, too, but I could tell that it just wasn't working out. Nathaniel had a hard time with separating me as mom and teacher. He took what I was trying to teach as criticizing. I know I can be very critical at times, too...but that is another post in itself (stay tuned). So, with a lot of prayer, and a lot of talk with Terry and friends, Nathaniel entered the Public School this year (2007). He is really doing well, and he enjoys school. I think he does really well under another teacher's direction. He gets challenged by other peers, and he loves competition. He thrives well with structure, and he gets that at school. This isn't a defeat statement, but I don't have to fight with his Dad about school anymore, either. Nathaniel's state test results came back and he far exceeds the standards, he is at a 6th grade reading level, his spelling is a daily struggle....and that makes me want to take him out and keep home educating him. We will see how this year goes. We may end up taking him out and maybe do Christian online school down the road. Who knows. All I know is that I need to do it all in prayer. I am still wanting to home educate Caleb, Madelyn and any other kids we may have, but I think that having Nathaniel go to the school was a good choice. It was prayed over, and God gave me peace about it. I would have preferred a Christian or Private school...but, finances won't stretch that far. I don't agree with some things with the school system, but I just have to keep bathing it in prayer. My son's third grade class had their "Holiday Concert" last night. I remember when I was little it was called a Christmas concert. I guess it would be "politically incorrect" or a "religious racism" to classify it as such. Anyway, it was a great concert!! Nathaniel got to play the drums for the evening concert. He was so proud, and he was so excited! It is an amazing feeling that goes through a mom when her baby is up front performing. I was really beaming, I am sure. The music teacher did an amazing concert with the kids. She involved as many students as she could. Some had singing parts, some played musical instruments, some had dancing parts, and one little guy was the "announcer" for each song. That little boy reminded me of "The Peanuts Christmas" when Linus was up front reciting the scripture from the book of Luke. It was very cute. It was a fun event. They had a concert during the day, which my parents came to that one with me and the kiddos. 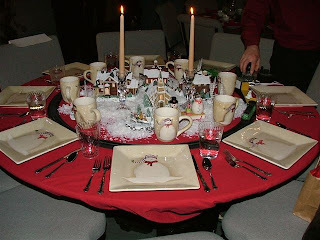 In the evening, my Mom-in-law came, Terry, Me and the kiddos. I got Nathaniel to giggle on the last song "Feliz Navidad". He has such a great smile. It was so great to see him smiling and having a great time. Want to know how to win these things? 5 Minutes for MOM is hosting this amazing giveaway! This is an assortment of infant-to-preschool toys from the award winning Parents® Magazine toy line. Go here to enter the contest (rules posted). 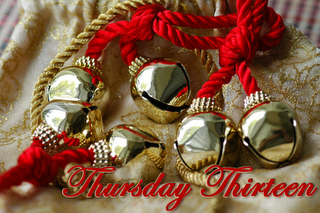 Thanks for stopping by, and Happy Thursday Thirteen! 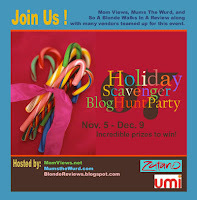 Laura Williams' Musings is having a Review & Giveaway: Limited Edition Happy Panda Holiday Gift Basket valued at $200.00. This is what you have to do: 1. Post about this giveaway on your blog or site with a link to this giveaway and to Happy Panda. Amanda is giving away adorable reindeer girly bows that she made! They are so cute! Head over there before Wednesday, December 5th. You should check out her store, SimplySweetBowtique.com! DE Reviews is giving away: Fruit & Veg. Puzzle and Under Lock & Key Garage. These toys come from the Parents line (a branch from the Parent's magazine). Other products Parents released are the Kitty Keyboard, Letter Tile Puzzles (on my list! ), Pop Beads, Mom & baby Fitness DVD (great for new mamas! ), and much more. Enter for a chance to win by Friday, December 7th. The Apronista is giving away The Santa Baby Apron! It is so cute! Go here to enter before Friday, December 7th. My Two boys is having one last giveaway for natural products (non-toxic). 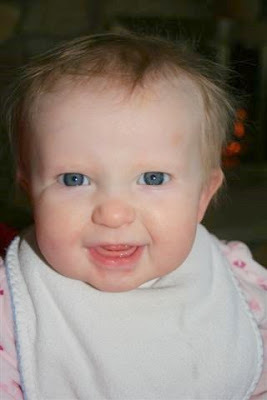 Natural Pod is offering 5 fantastic products that are best in natural and organic products for your baby. Enter before December 5. 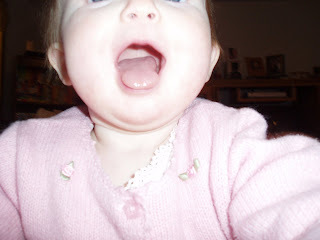 She is also giving away a Kodak Gallery $50 giftcard giveaway!!! Then, you can make personalized photo gifts! Head over and sign up before December 8th! *Island life is giving away a $50 giftcard to Warm Biscuit bedding company. I would use it on some of those vintage (by era) toys. LOL~ Enter before December 10th. Win a Woobie by entering this contest by December 7th. I think Maddie would love one of those! My Family Loves it-Family reviews, stories, and activities is giving away a Spongebob Maritime Music Player. I know Nathaniel would love this, because he really likes SpongeBob! You can also Win a Spongebob interactive song book! This contest ends December 9th winner will be announced December 10th. Not Entirely British is having a Christmas giveaway! She is having a contest for a RjTECH UNO-02 DVD compact slim DVD player. Contest ends Tuesday December 18th. Along for the ride is giving away a $250 Shopping Spree to Along for the Ride. Just Email Your Answer to the question by midnight on December 31, 2007. ONE regular entry per person. See question #2 on their site to receive a BONUS entry! Winner will be announced by email on or before January 10, 2007. I would choose the Sachi Carriers Solarweave Mei Tai Pink because it is summer/swimming friendly and I just love the way it looks. I am sure it feels amazing! I won the Booples 2: Yikity Blar DVD from Laura Williams Musings blog! I am really excited that I won this! This is making a great Christmas present for the kids! I think the kids will love it! Thank you so much, Laura! "Booples 2 Yikity Blar!" is the second Booples DVD and all new stories and songs! Each episode has a story which is based around a Bible verse. The Booples learn about God, His love, His character and how to best live according to His word. 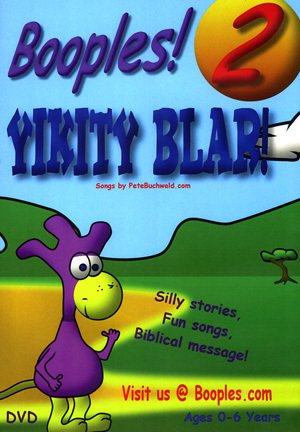 Each episode's song contains the Bible verse from the story. The songs are fun and catchy which helps kids remember the song, apply the message and retain the verse in their heart. * "Forgive Each Other" - Ephesians 4:32 * "Jonah and the Tarshish Fish" - Luke 11:28 * "David Rocked Goliath" - 1 Corinthians 1:25 * "God is Faithful" - Psalm 33:4 * Plus all 4 song videos from the episodes! * And a Booples! short: "Fruit of the Spirit"
Songs by Pete Buchwald and Bear Cahill. 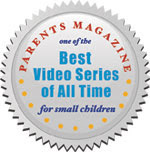 Booples named #6 on About.com's "Top 10 Christian DVD and Video Series for Children"
Play-all features for the episodes, songs and both together!